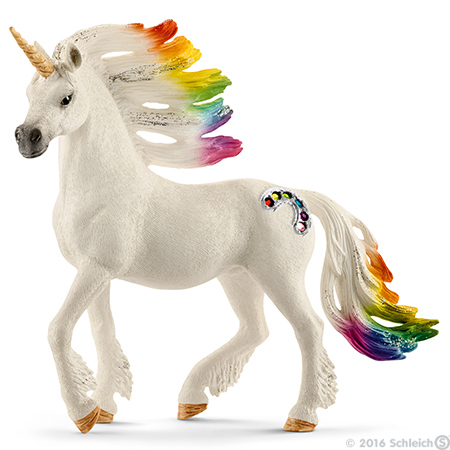 Rainbow Stallion Unicorn Figurine from Bayala series. Made by Schleich in 2016. In the light of the morning sun, the manes of the rainbow unicorns gleam in all the colours of the rainbow. Their flanks are adorned with colourful gemstones.